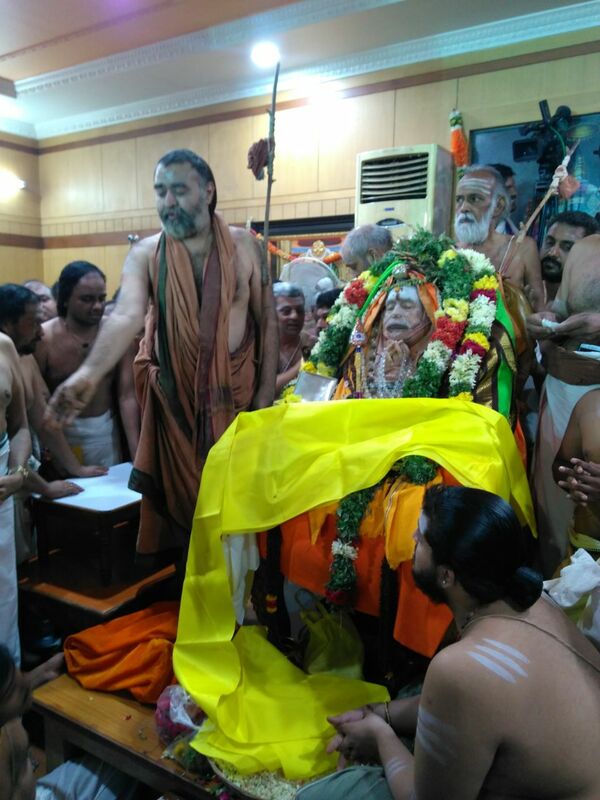 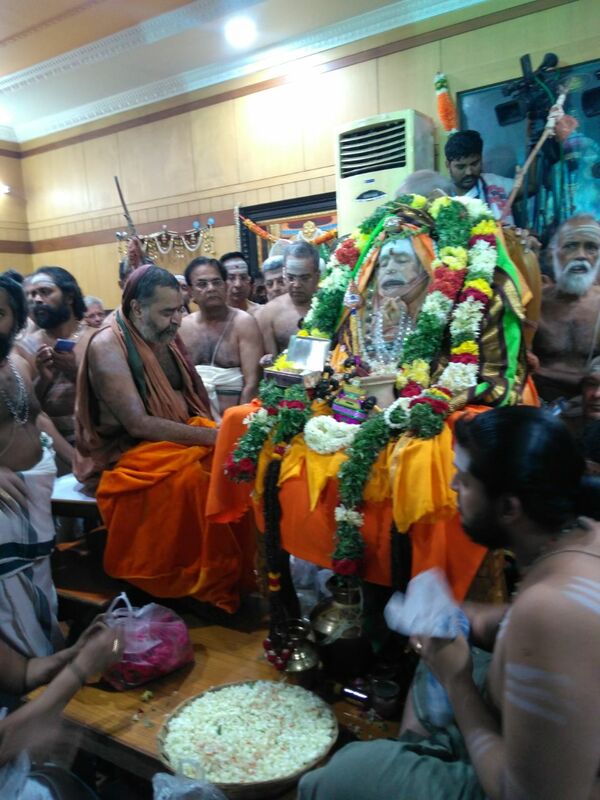 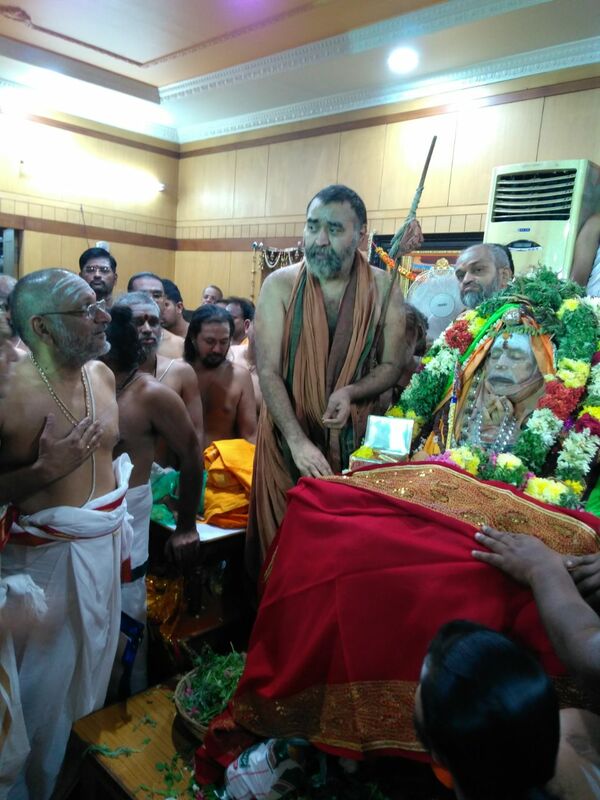 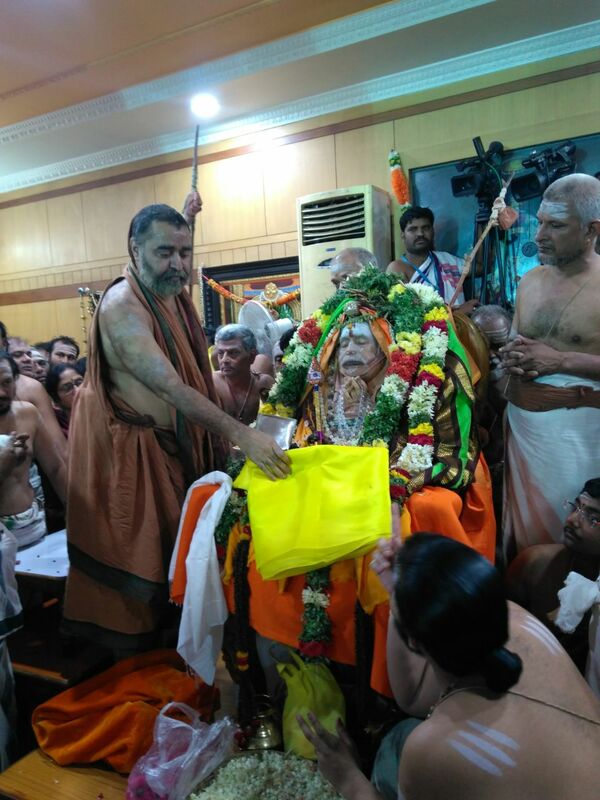 The 69th Acharya of Sri Kanchi Kamakoti Peetam Jagadguru Pujyashri Jayendra Saraswathi Shankaracharya Swamigal attained Siddhi on - Shukla Trayodashi - 28 Feb. 2018 at Sri Kanchi Kamakoti Peetam Sankara Matam, Kanchipuram. 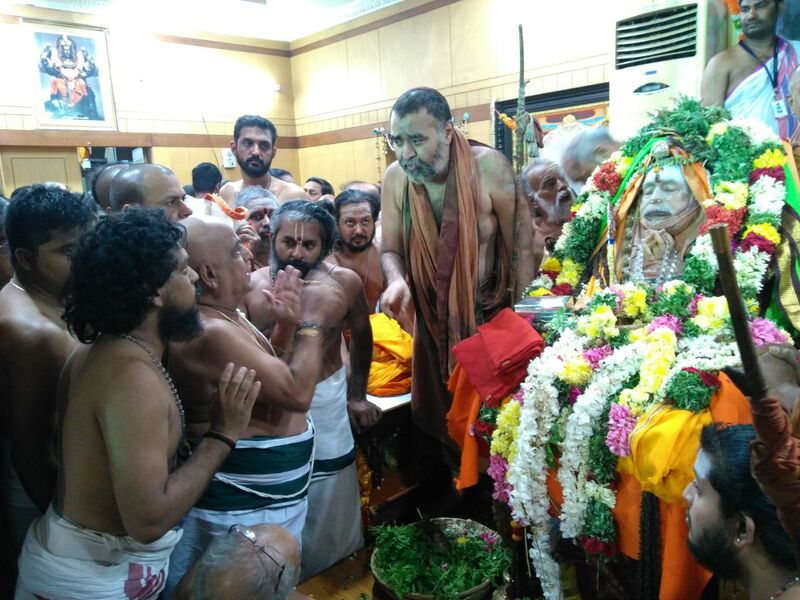 A large number of people from different walks of life from leaders to common-man offered their prayers to His Holiness. 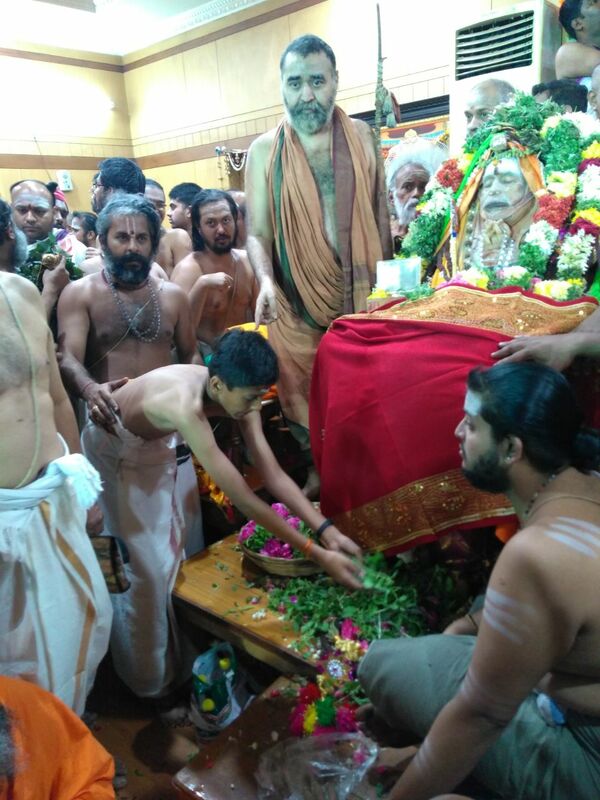 Devotees stood in long queues outside Shrimatam and awaited their turn for Darshan all through the day and night till early the next morning. 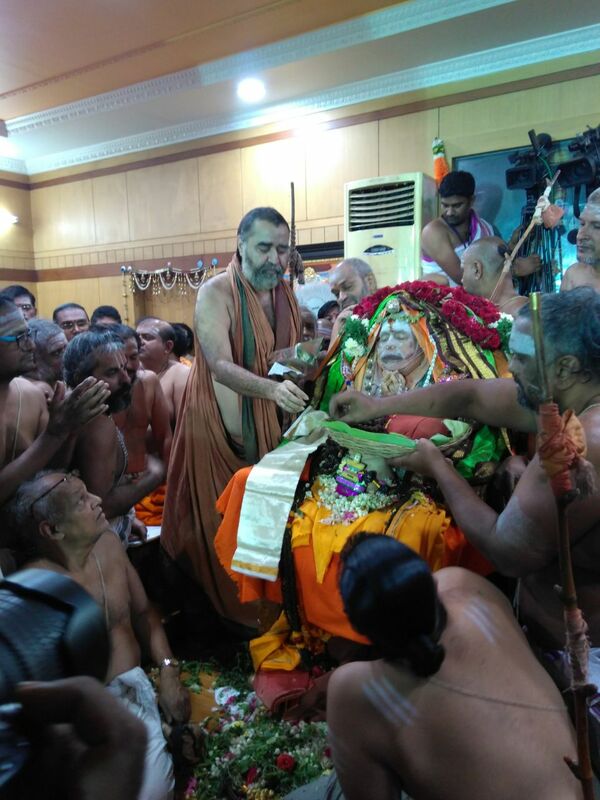 Volunteers offered anna prasadam and water to the devotees round-the-clock. 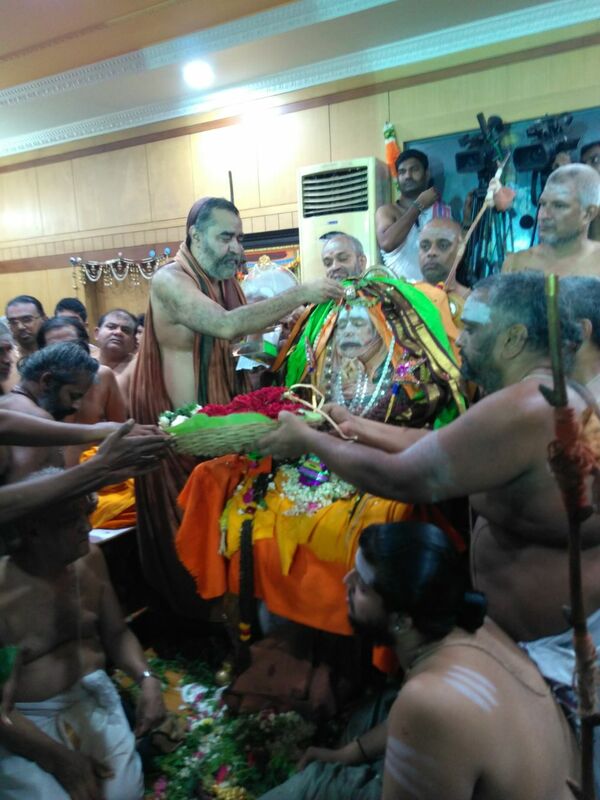 Sadhus and saints from across the country offered their tributes. 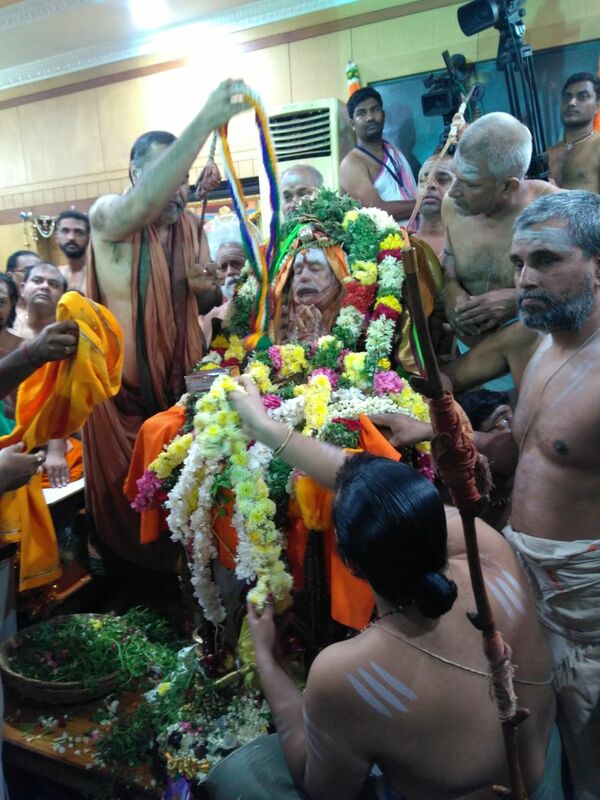 On 1 March 2018, the Brindavana Pravesa Karyakramam commenced and HH Pujyashri Shankara Vijayendra Saraswathi Shankaracharya Swamigal performed Dhravyabhishekam even as a large cogregation of Vedic Scholars chanted Veda Mantras. 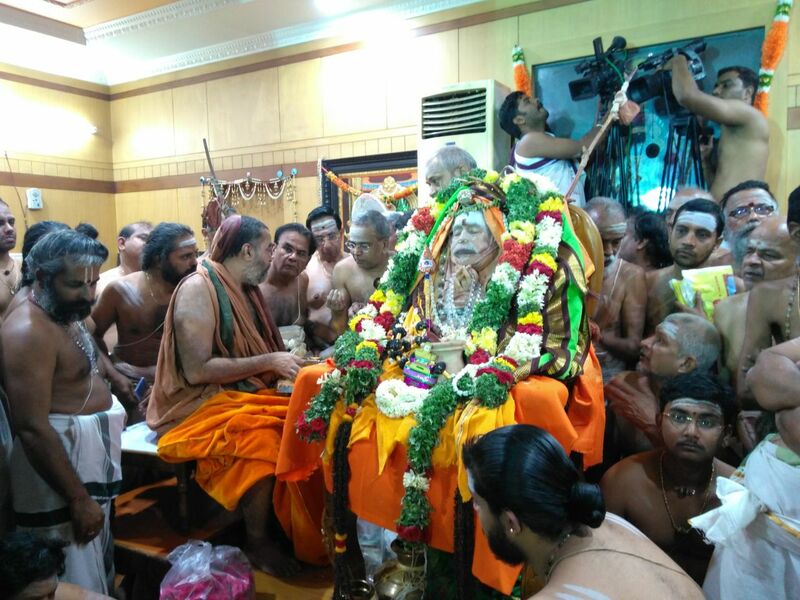 Prasadam from various temples in Kanchipuram and other parts of Tamilnadu, and from Sri Venkateswaraswamy Temple-Tirumala-Tirupati was offered.Thereafter, Brindavana Pravesham of His Holiness Pujyashri Jayendra Saraswathi Shankaracharya Swamigal was performed. 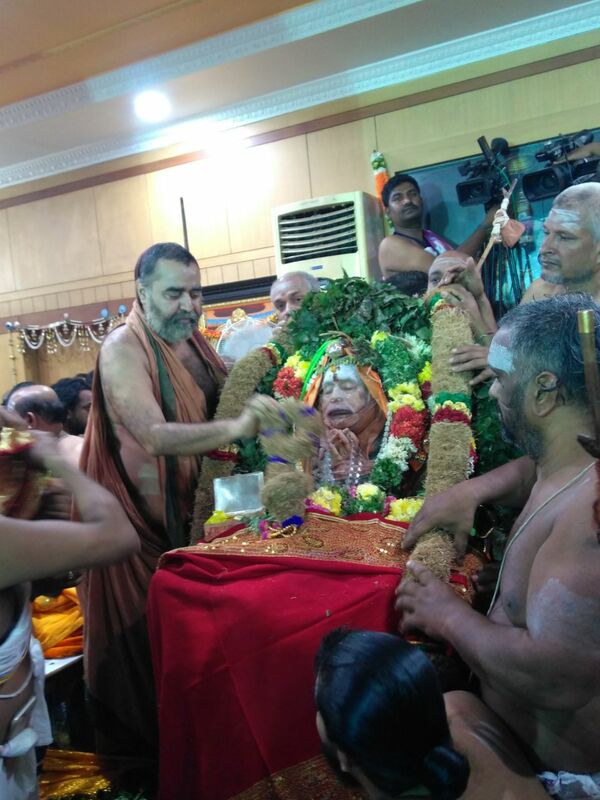 The Hon'ble Governor of Tamilnadu, Sri Banwarilal Purohit, who had the blessings of His Holiness only two days ago(27 Feb. 2018) was present during the ceremony. 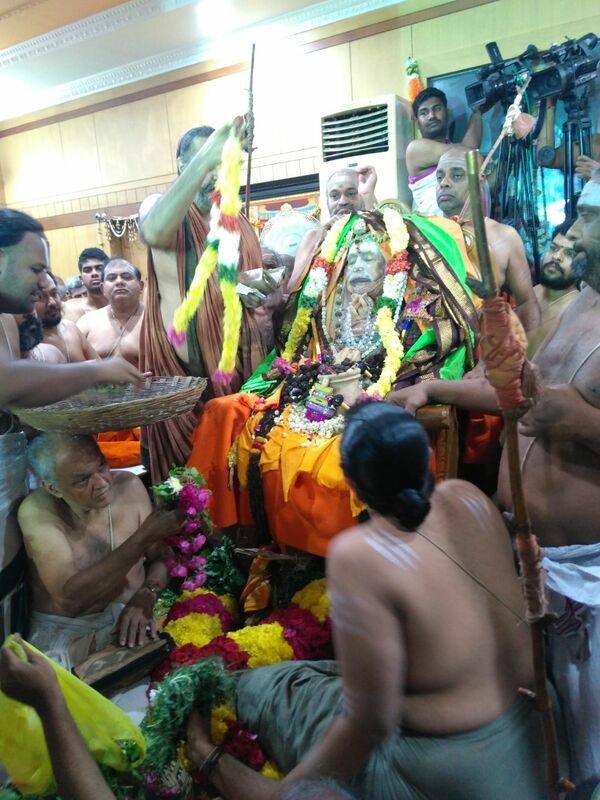 Thereafter, HH Pujyashri Shankara Vijayendra Saraswathi Shankaracharya Swamigal proceeded to Sri Ekambranatha Swamy Temple Tank accompanied by devotees and performed Avabhruta Snaanam. 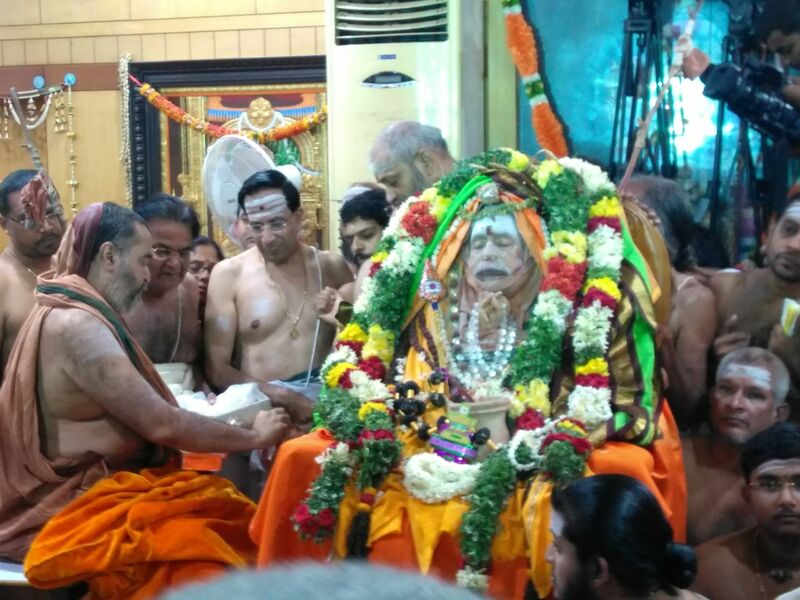 Nitya Chandramouleeswara Puja was performed later.